Battery life – how often do you need to charge a Fitbit? When you think of an activity tracker, you automatically think of the Fitbit brand. Synonymous with exercise and wellbeing, their range of hi-tech devices sit inconspicuously on your wrist, whilst motivating you to keep active throughout the day. The American Heart Association recommends that in order to maintain a healthy lifestyle and reduce the risk of heart disease, we should seek to achieve 10,000 steps a day, whilst the World Health Organisation advises that a healthy adult undertakes 150 minutes of moderate exercise a week. And, as a rule of thumb, we should all try and avoid sitting for long periods of time. Being able to track your daily movements, receive reminders for when you’ve been sedentary for too long and keep a log of your sleep, meals and activities on one simple device, can help to encourage healthier choices for your body, mind and soul. When it comes to activity trackers, Fitbit are the global leaders. Their range of wearables are easy to use, reliable, stylish and provide insightful statistics through a personalized app. But with new devices joining the Fitbit family all the time, how do you know which one is right for you? 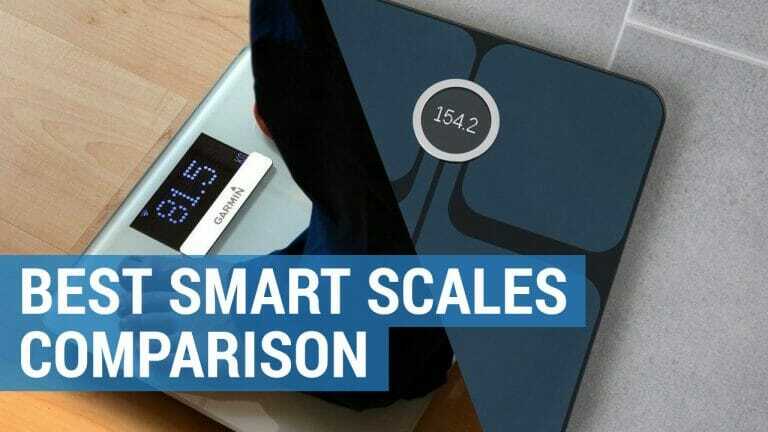 Here I’ll look at the different Fitbit models available, provide you with side by side Fitbit comparisons and talk you through the different functions and features of each activity tracker. Choosing the best fitness activity tracker comes down to your personal wants, needs and expectations. 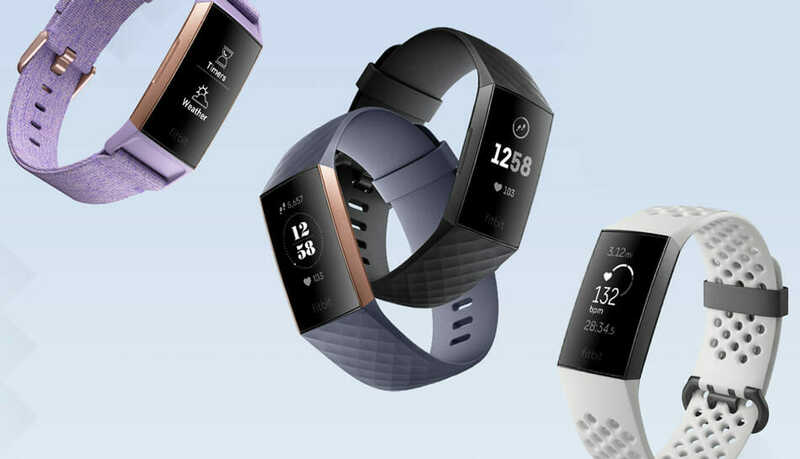 Fitbit have produced a range of devices to appeal to all budgets, levels of fitness and tastes in design. The right Fitbit for you, depends on how you plan on using it. You could be a fitness fanatic or an exercise novice. Want a watch that sits discreetly on your wrist to monitor your every movement or prefer a wearable that is eye catching and stylish that comes with a host of smartphone capabilities. Each Fitbit tracker has been built and optimized to appeal to a particular user and fit in with their routines and style. From adults to kids, Fitbit have designed an activity tracker for all to enjoy. If you are in the market for an activity tracker but are unsure which one to buy, why not look at my Fitbit comparison guide below, where I share my personal recommendations. If you want to find the Fitbit product that’s right for you, take a look at my Fitbit reviews and comparison tables. Here I have highlighted the key functions of each activity tracker as well as their unique features to enable you to make a fair comparison and an informed buying decision. All Fitbit wearables are available to purchase on Amazon. Hi-res touchscreen. Corning Gorilla Glass 3 display. 300x300 pixel resolution. Hi-res touchscreen. Corning Gorilla Glass 3 display. The Fitbit Ace is an ideal fit for children who are aged 8 years+. Its range of features like the bold colored straps, waterproof casing and fun and interactive challenges, provide kids with all the motivation they need to get up and move. With a focus on fitness, this device aims for a 60 minute per day active goal. Parents can stay connected and keep a watchful eye on their child’s daily progress, monitoring their steps and even their sleep through the Fitbit app. The fun Fitbit badges and challenges set achievable targets and if you are family with Fitbits, then you can connect and compete together. There is also the option to allow notifications when paired with a mobile phone, allowing parents to rest easy, knowing that they can get in contact with their child even when they are out of the home. Although the Fitbit Ace is expensive, thanks to its adjustable strap, classic design, customizable clock faces, motivational tracking analysis and smartphone notifications this watch is well-equipped with functions that will continue to appeal to your child as they grow. To find out more about the Fitbit Ace and other watches that available to buy, read my review of the Best Activity Trackers for Kids. They say that good things come in small packages and the Fitbit Flex 2 does not disappoint. For fitness enthusiasts who are looking for an accurate tracker to provide all the essential daily stats such as miles, calories burned, and minutes moved, then this simplistic watch is a great option. The Flex 2 is Fitbits lightest, sleekest most flexible wearable to date. Able to track your progress to goal it is even waterproof for up to 50 meters. Using coloured LED lights instead of a screen, this watch flashes and vibrates to keep you updated or alert you of notifications received on your phone. For a comprehensive breakdown of your daily insights, goals and sleep, you just need to log on to the Fitbit app. This wearable comes with a removable tracker enabling you to wear it on your wrist or styled as part of an item of jewellery. 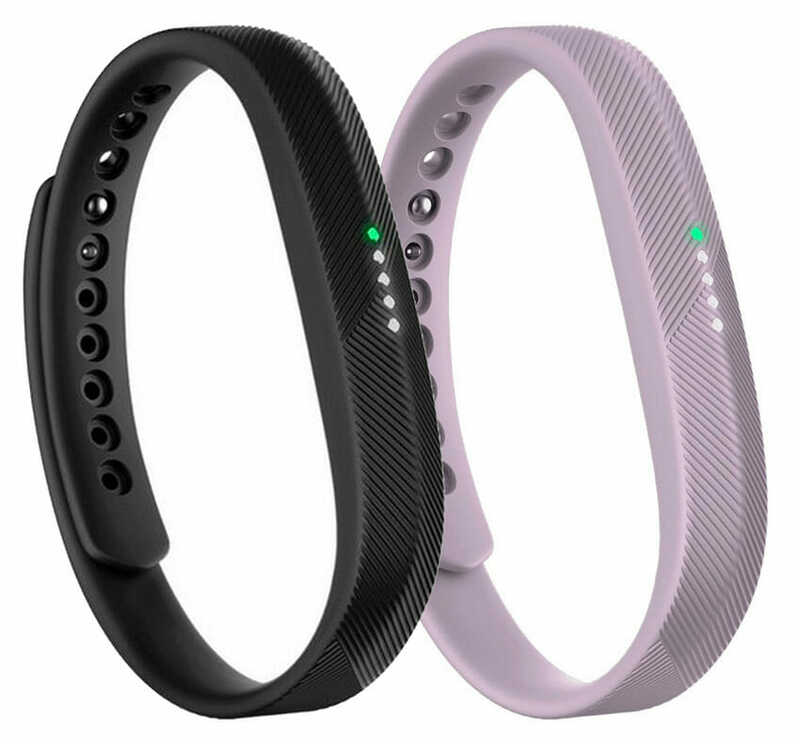 Fitbit sell additional accessories for the Fitbit Flex 2 such as bangles and pendants, allowing you to seamlessly wear it from morning to night. For more information, read my full review on the Fibit Flex 2. 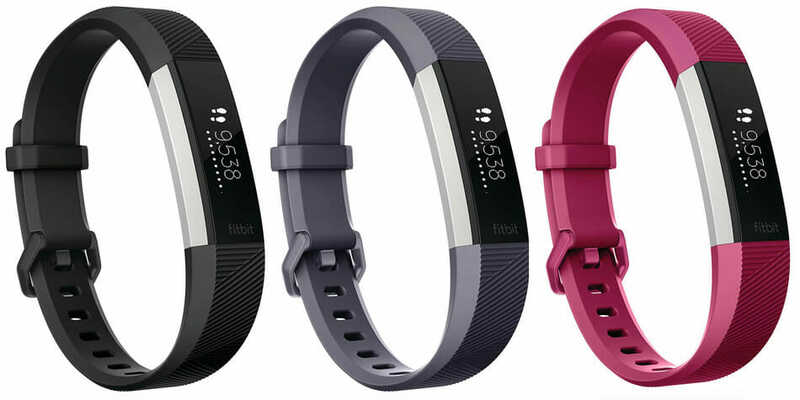 The Fitbit Alta and Fitbit Alta HR will appeal to those that are looking for a compact activity tracker that offers some of the more advanced features that will track your activity and help you achieve your fitness goals. Fitbit recently updated its most popular tracker the Alta, with the Alta HR, which now includes a much-requested in-built heart rate monitor. These feature packed wearables house all the tracking information you could possibly need from counting steps, distance, calories, minutes active and sleep patterns to receiving call and message notifications. Plus, there is a funky auto exercise recognition function that helps you to better your performance over time. Unfortunately, there is no in-built GPS, but this sophisticated watch does come with a 7-day battery life and choice of color designs, accessory bands and a designer collection so these interchangeable straps can be swapped out to suit your fashion. The Versa is Fitbits latest smartwatch offering and is its lightest and most durable wearable yet. It’s a watch that stands out from the crowd in terms of design and functionality and its large display screen offers unlimited possibilities for staying fit and healthy. This advanced activity tracker does so much more than just tell you the time. Housing PurePulse technology it can continuously monitor your heart rate throughout the day, alerting you of stressful periods and taking you through some much-needed guided breathing exercises. As well as all of the essential tracking analysis, the Versa can track your cycle as well as your sleep and is waterproof for up to 50 meters. Its smartphone capabilities allow you to not only receive call notifications but to respond to texts, make contactless payments and download up to 300 songs. You can also add your favourite apps whether that be for fitness, finance or sport and even design your own clockface. Although all of this can be draining on the battery, the Versa still offers you 4 days of life. If you are looking for an activity tracker and smartwatch combined then the Fitbit Ionic comes with all the bells and whistles you would expect from such a premium watch. Some might say it is the watch we have all been waiting for. The design of this watch is retro and fun and comes with a range of customizable watch faces. Its touchscreen allows you to sync all the apps across both iOS and Android devices. The Fitbit Ionic came with a host of extra features that are not currently available on some of the cheaper alternatives. Most noticeably it is the first Fitbit wearable to offer an in-built GPS which can track your route, show you your pace, distance and other key data. This watch also comes with its own Fitbit coach, who is there to motivate and inspire you. Offering a list of workouts tailored to your fitness levels, from push ups to sit ups, it will put you through your paces. Using Fitbit’s mobile payment feature, the Ionic allows you to make contactless payments, store music, as well as receive text and call notifications whilst on the move. Plus, with its waterproof casing, there is no need to remove it from your wrist (except when charging every 3-4 days). For more information, read my full review on the Fibit Ionic. 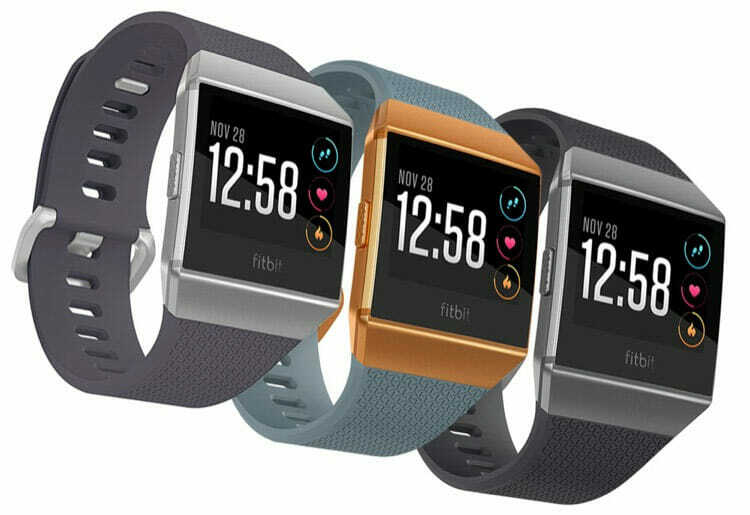 The Fitbit Charge 3 is due out later this month (October 2018), and although it won’t bring any innovative features, this refined watch is cheaper than that of it predecessors and combines all the much-loved features of the Charge 2 and the Charge HR into one activity tracker. Offering a complete health and fitness package; thanks to its build in heart rate monitor, sleep tracking insights, guided breathing exercises and smartphone features; this watch can set you work out goals, based on previous knowledge gained. If GPS plays an essential part of your exercise routine, then the Fitbit app and the MobileRun app can be synced with the Fitbit Charge 3. It is water resistant so can track everything from running to swimming and its female health calendar can help you remember important fertile dates. And, for when you want to stay updated you can receive call and message notifications and use contactless payments when you are out and about. All Fitbits come with a set of essential tracking features such as a pedometer, calorie counter and distance calculator. In addition to this, each make of Fitbit can record your sleep by detecting night time movements and translating it into light, deep or REM. All you need do, is download the Fitbit app on to your iOS, Android and Windows device to receive your full tracking data. This free app has been specifically designed by Fitbit and will show you a detailed analysis of your insights, goals and sleep patterns. You can customize it to see how your weight loss is going, track your monthly cycles and fertile periods and take advantage of recommended workouts and coaching tools. At the end of the day, you can even share your activity socially with friends. 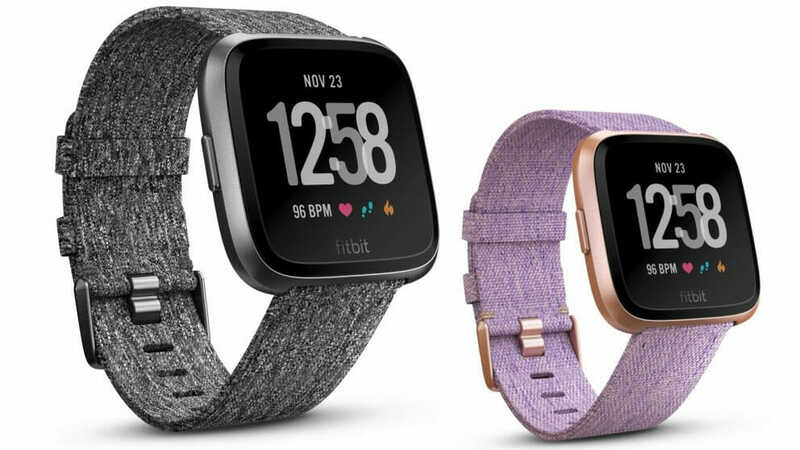 All Fitbit watches have removable straps which come in a choice of colors and interchangeable accessories – and with the Flex 2, you even have the choice to purchase pendants and bangles depending on your style. Plus, each Fitbit activity tracker comes with a rechargeable battery and its very own plug in charger. Fitbits vary in price, display and design. The higher spec the features, the more expensive the watch is likely to be. Some are purely designed to work as an activity tracker, and for that reason offer an LED readout instead of a screen (Flex 2). Others start to encroach into smartwatch territory (Ionic and Versa) and come with larger screens that are integrated to communicate with your mobile phone. If you want an activity tracker with a heart rate monitor, then Fitbit has just the thing. The Alta HR, Charge 3, Ionic and Versa can all measure your peaks and highlight your troughs using state of the art technology. If GPS plays an essential part of your exercise routine, then the Fitbit app and the MobileRun app can be synced with the Fitbit Charge 3 and Fitbit Versa and uses Connected GPS functionality. If, however, you want an in-built GPS system, then nothing beats the Fitbit Ionic. If you are looking for an activity tracker that doubles as a wrist ipod, then the Ionic and Versa allow you to store up to 300 songs which can be streamed through a paid for Pandora account. And, once paired to some Fitbit Flyer wireless headphones, you can effortlessly listen to music whilst on the go. Although all Fitbit activity trackers are splashproof and are therefore able to soak up some hard-earned sweat or be worn in the shower; only the Charge 3, Ionic and Versa are water resistant and can be worn for up to 50m. For something that remains on your wrist day and night, you don’t want the hassle of having to constantly be taking it on and off to charge. Most Fitbits come with a battery life of around 5 days, however the Fitbit Alta leads the way with a 7-day battery. Those that power a larger screen and offer several gizmos and gadgets tend to last for less long, so if this is a factor in your decision making then I strongly advise that you check the charge time before purchasing. Fitbit began as a humble start-up company in 2007. 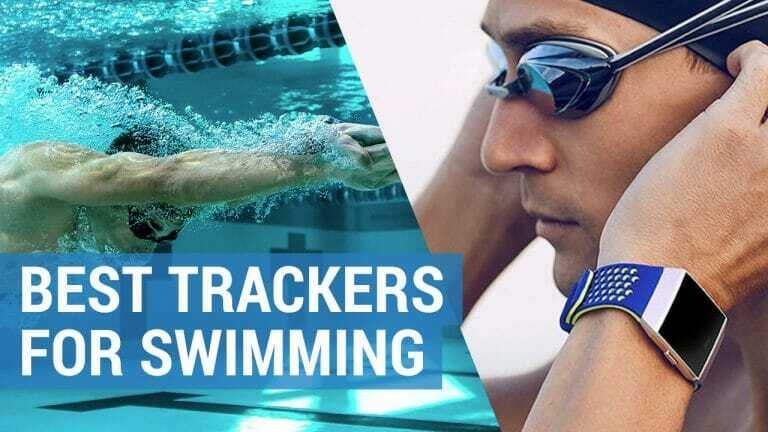 Having noticed a gap in the market for affordable activity trackers they produced and sold watches direct to customers. Fast forward to 2018, and Fitbit now dominate the shelves of all major retailers. Inexpensive innovation is at the heart of what Fitbit produce, and they now offer a range of forward-thinking wristbands for everyday use to help people find their fit, stay motivated and see how small steps make a big impact. Fitbit vs Garmin – how do they compare? Battling it out to be crowned king of the wearables, Fitbit and Garmin can often be found going head to head in the activity tracker market. Garmin excel when it comes to multi-sport watches and with a long and established history in satellite navigation, they have the GPS market covered. Their products tend to have a premium price tag and their range is impressively extensive, with new product launches taking place monthly. Fitbit however, remain an affordable option for all. 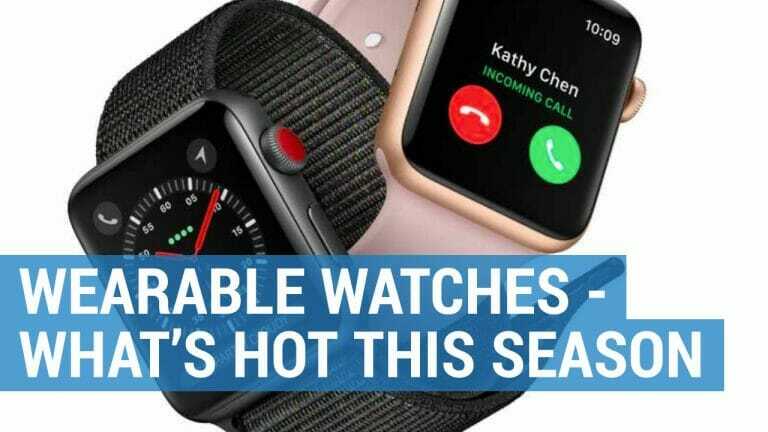 Their recent efforts to compete in the smartwatch arena has seen them taking on the power brands of Apple and Samsung, making them accessible for a much larger audience. Click here for a full comparison of Fitbit and Garmin activity trackers. As you can see, when it comes to purchasing an activity tracker – it all depends on you as an individual. For example, I prefer an activity tracker that that can double as a watch so that I don’t have to wear multiple accessories. Although I don’t tend to mix my cardiovascular training up that much, I do like to interrogate the results, so the more insights it can provide the better. I also do a lot of swimming, so for ease of use, a waterproof casing it a real benefit to me. For these reasons, I have recently gone ahead and ordered the newly released Fitbit Charge 3. The clock is ticking, and the countdown is on to the two biggest shopping days of the year. 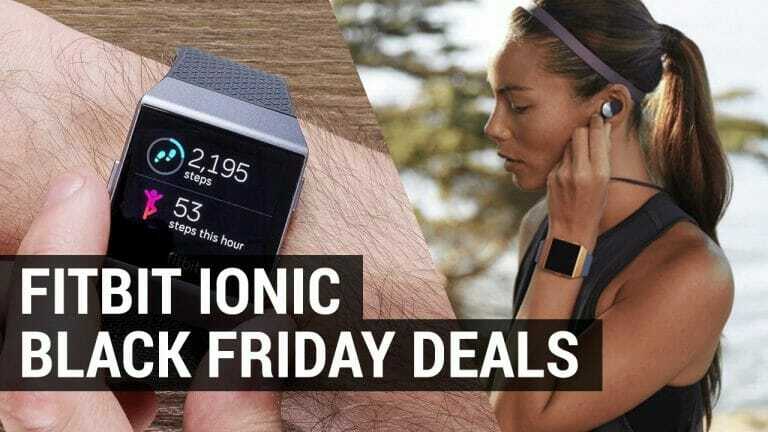 Amazon cut their prices on the Best Fitbit Black Friday Deals each year. 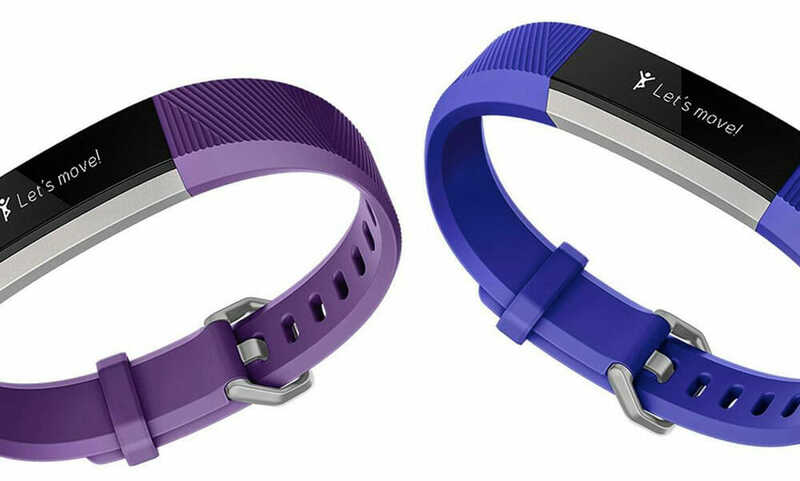 You’ll bag yourself some online bargains, with prices set to be slashed across Fitbit products.